Foodie families take note. The Taste of Melbourne is returning for its 10th year from 30 November to 3 December. 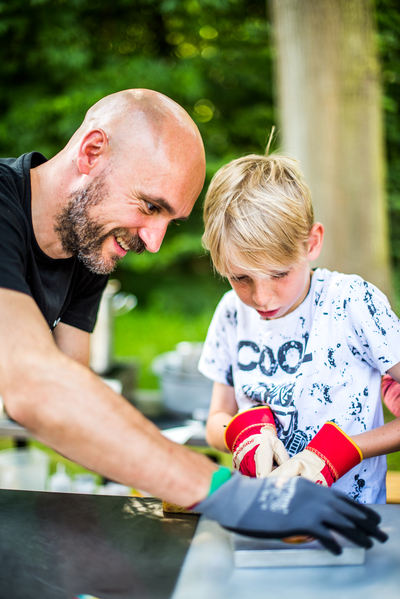 This year the festival is holding its first ever Family Fun Day - inviting families to feast, bake, paint and learn together on the Sunday 3 December at the MCG’s Yarra Park. Q. I see this is the 10th year anniversary of the Taste of Melbourne festival. How did it all begin? Taste of London was first established since 2004 and had such success that it feel right to bring the festival over to the little island of Australia and spread the Taste Festival love globally. Taste of Melbourne and Taste of Sydney were launched in 2008. I spent the beginning of this year reminiscing on the previous festivals and the incredible line up of talent and restaurants we have seen over this time. While pictures revealed some questionable hairstyles and clothing choices (not naming names), it is incredible to see who has come up through the ranks, what their journey was with Taste and who they have come to be. And from an overall show perspective the evolution of Taste has been incredible. It started out at the Royal Exhibition Building, then moved completely outdoors to Albert Park, which was our home for quite some years, before finding our new and incredible home at Yarra Park. Oh, not to mention reaching over 200,000 people in this time, some of which have attended Taste every single year which is incredible. Q. What will be different about this year’s festival compared to previous years? With a daring new vision celebrating Melbourne’s vibrant food and culture scene, an iconic new home at the Melbourne Cricket Ground’s Yarra Park and a new summer date – 30 November to 3 December 2017 – Taste of Melbourne in partnership with Electrolux will host an extravagant four-day feast for all senses and all ages. Q. We’re obviously very interested to hear more about what’s on for families at this year’s Taste of Melbourne festival. Can you tell me a little more about what we can expect to keep little minds busy and little tummies full? 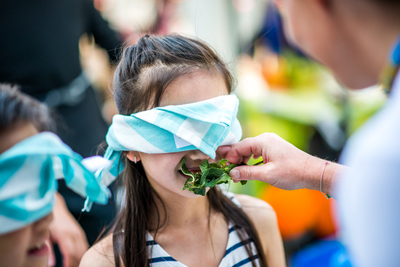 The first Family Fun Day at Taste of Melbourne will invite families to feast, bake, paint and learn together on Sunday 3 December at the MCG’s Yarra Park. 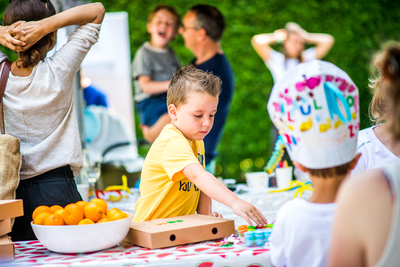 Shady spots on the grass under Yarra Park’s canopy of elm trees are perfect for gourmet picnics, and the younger ones are also invited to decorate the giant Taste letters and mini chef hats with bright colours on Sunday. In our Marketplace, I have no doubt the likes of Cacao Hunters’ chocolate, Dickins’ Delights’ toffee and Pop-bite popcorn will delight sweet tooths of all ages. Q. Are families only suggested to attend on Sunday 3 December or are children welcome on other days of the festival too? Everyone and anyone is welcome at Taste of Melbourne on any day. Children under 6 are able to enter for free for any session accompanied by an adult with a valid entry ticket. 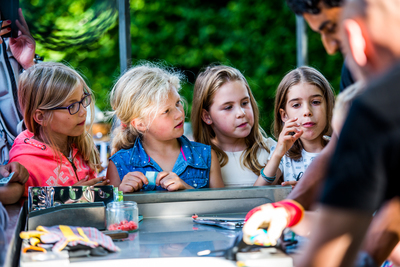 On Sunday, Children under 14 are able to enter for free for the Sunday session accompanied by an adult with a valid entry ticket. Q. Due to Melbourne weather being unpredictable at the best of times, will the Taste of Melbourne festival be all-weather friendly? The event goes ahead despite any weather circumstances. So hail, rain or shine, Taste will thrive no matter what! Should the weather turn for the worst, there are many covered marquee areas at the event. Die hard Taste lovers will attend no matter what! Q. 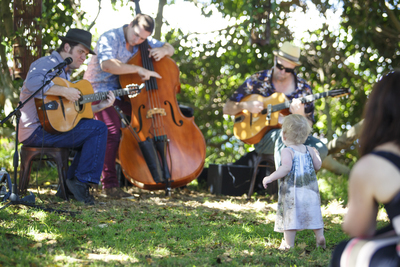 What are your top picks from this year’s festival and what Melbourne families should not miss out on? YouTube sensation Grace from popular kids’ channels Grace’s World and Grace’s Room will delight the younger ones with a live demonstration of one of her favourite recipes with Gregory Llewellyn in the Electrolux Taste Theatre in association with Etihad Airways. The Lurpak Bakery will offer a lesson in making and baking a hazelnut ganache and lemon curd sweet tart or apple tarte tatin with pomegranate molasses with premium Lurpak butter. Kids can come and get their hands dirty in the buttery baking class, then gobble up your crispy treat, fresh out of the oven. The festive hay bales in the Cooks’ Corner presented by Meat & Livestock Australia also welcome kids for cooking demonstrations and tasty samples using beef and lamb with a friendly farmer in a giant Akubra. Price: $23. Children aged 14 and under can enter for free (on Sunday) and under 6 (other days) when accompanied by an adult with a valid entry ticket.